System stability parameters provided via synchronised phasor data are used to warn of impending problems and assist guiding remedial actions so to avoid costly and disruptive blackouts. The Qualitrol Q-PMU system is a low cost device that captures synchrophasor data and sends it back to a central data concentrator. The Q-PMU can operate as a standalone device or be integrated into the multifunction IDM+ monitoring system. Phasors are calculated by measuring the instantaneous voltage, current, and frequency, in turn providing operators with the heartbeat of their network - to keep their finger on and react accordingly. Enables various wide area measurement, protection and automation applications based on streaming synchronised phasor measurements and digital status. Deploying PMUs across a network, simultaneously measuring phasors at strategic locations, can reveal various grid problems and empower operators to act. The Qualitrol PMU is a scalable, modular substation hardened platform for connection to up to ten three-phase circuits to calculate and stream phasors in compliance to IEEE C37.118.1. Two Qualitrol devices (Q-PMU and IDM+) provide phasor measurement capability to suit every power system need. These products can be connected with other Qualitrol devices into a networked monitoring fleet. Qualitrol Q-PMU for standalone scalable functionality to calculate and stream phasors. Qualitrol IDM+ for phasor measurement capability in a multifunction power system monitoring device. 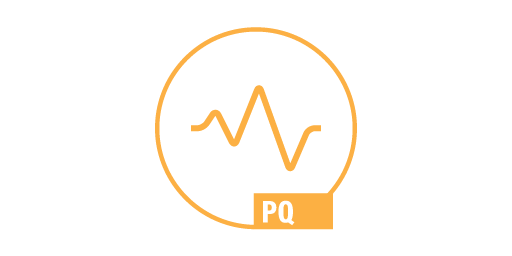 The phasor measurement system from Qualitrol can be integrated as a low-cost standalone, distributed architecture for system wide PMU installations at various generation, transmission and distribution locations. Alternatively, as part of an integrated real-time network monitoring system, this PMU technology can be delivered as part of a multifunction monitoring system using the Qualitrol IDM+ power system monitor. This paper provides a summary of a joint testing exercise involving Qualitrol, a utility and systems developer, that goes beyond the IEEE standard requirements to qualify the PMU for use in applications of interest for transmission system security and optimisation. Browse our technical papers on the phasor measurement application to find out more about this valuable application, including how synchrophasor data are used in conjunction with other power system monitoring applications to provide advanced monitoring capability and better outcomes for utilities. This paper summarises a testing exercise carried out by a utility, a Phasor Measurement Unit (PMU) manufacturer and a developer of systems and applications to qualify the PMU for use in applications of interest for transmission system security and optimisation. The GCC Interconnection Project has connected the electricity grids of six Arab Gulf countries along the Gulf to share power, reduce overall spinning reserve, reduce need for installed generation capacity for reserve, provide support during emergency and black out situations, and offer opportunities to trade energy with other regions. This UK Utility made a strategic decision to invest in monitoring equipment and use the resultant data to evaluate plant and network performance and identify defects and weaknesses in the system to allow early remedial actions to be taken. Insulect provide complete monitoring system development, working in collaboration with customer teams to provide engineering design, panel build and integration, system commissioning and software configuration. We design systems to best meet customer challenges, information needs and existing network architecture. The real network monitoring task only begins once a system is commissioned. Which is why we support our customers’ systems through our Support Plans. The plans cover health check reporting, fault ID and remote diagnosis, maintenance and repair, firmware and software upgrades, helpdesk and more. Our expert engineering team provide application-based training programs covering all Qualitrol products and network monitoring applications. All training is delivered by our Qualitrol Certified trainers. Customisable to meet enterprise-level training needs. Our Expert Engineers collaborate with customer teams to evaluate system design, investigate incidents and identify improvements to increase uptime. With hundreds of installations across Australia, our Qualitrol-certified team has extensive experience with real-world fault and disturbance data. Insulect have a Qualitrol certified service centre in Brisbane for fast response with minimum downtime. Full technical service, repairs and testing with locally stocked spare parts. Hardware upgrades of older generation IDM T3/T5 to the new IDM-E / IDM+ architecture utilising existing wiring. Whether you're operating a Transmission or Distribution network, a Generation plant or are a large energy user, our team can help you understand how DFR can help your organisation.